You are here: Home / Product Reviews / Babies & Kids / Why You Need to Watch Miracles from Heaven: A Little Girl, Her Journey to Heaven, and Her Amazing Story of Healing. It isn’t often you find a film that gives you hope, and makes you appreciate love, life, and all of the people in it. A story that makes you truly believe in miracles and that there really is a higher power. This film does just that. 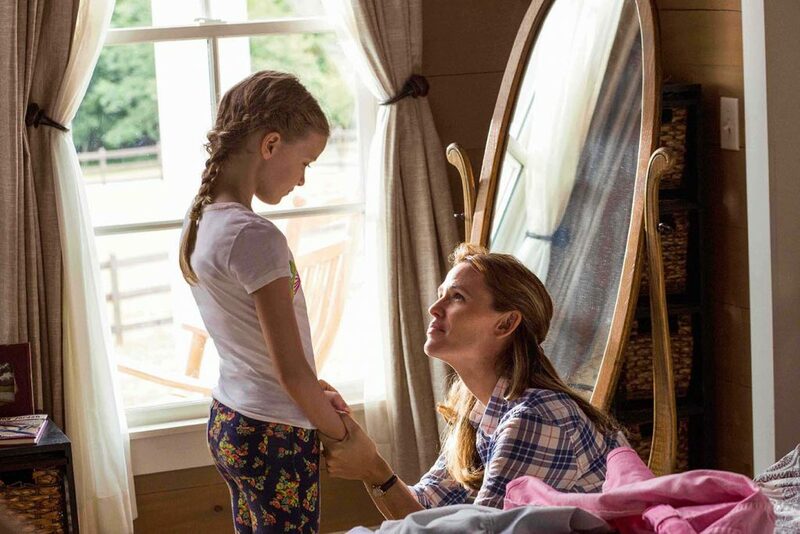 It is based on the incredible true story and memoir of Christy Beam: Miracles from Heaven: A Little Girl, Her Journey to Heaven, and Her Amazing Story of Healing, from the producers who brought you Heaven is for Real. What I loved the most about it is that it isn’t in your face church-y but, it is very, very human. I am a spiritual person, and though I do not identify with any one denomination, I believe in God and Jesus and the way that he actively affects our lives. Having a chance to watch this inspirational memoir as a mother really struck a chord. You’re introduced to an all-around, wholesome and faithful Midwestern family. They have just purchased a large veterinary clinic and are strapped for cash. The story follows a young girl who is suffering from a rare digestive disorder that is incurable. Christy Beam (Jennifer Garner) takes you through her journey and the fight to find out what is wrong with their daughter. Though the doctor diagnoses acid reflux and lactose intolerance, you see a mother who just knows something is not right. She desperately tries to get her daughter in to see a specialist that can help her and like any parent, she does anything and everything she needs to do to achieve this. Through the movie, you’ll discover that there’s always a bigger plan. That every person the family came across was a part of it. You’ll see kindness and understanding from perfect strangers, and while this world can be a cynical one, good people do exist. They meet people who help them along their journey and it’s a great reminder that there is still kindness in the world. The Beams are very devoted, God-fearing, and highly involved in their church. When the enormity of their daughter’s illness takes its toll, they have to deal with inner battles of why God has not healed her and listen to criticism from fellow church members who judge their faith. You will see Christy lose her faith and when Annabel suffers a horrific accident, she survives and is miraculously cured. Her faith is restored, but it is not without naysayers and non-believers. This film is definitely a tear-jerker and I can empathize with the parents because, as a Mom myself, I couldn’t imagine the desperation and heartache. No matter what your faith is, whether you believe or not—this movie gets you thinking. It’s a feel-good, inspirational film to watch with the whole family with universal themes of hope, family, charity, never giving up hope, family values and everyday kindness. You just have to watch it—but make sure you have a box of tissues at hand! Visit Sony for more information about Miracles from Heaven and check them out on Facebook for more details! This post was brought to you by Sony Pictures but the opinions are my own. I missed it too but, loved it at home. It was tough but, it was such an amazing story. I still have not seen this movie but everyone has been talking about how great it is! Such a great cast too. Yes, the cast is awesome and the little girl was amazing. I love touching and inspiring movies. I’ll have to add this to my list! That was so beautiful. I have never heard of this film before, but it sounds so amazing, thank you for sharing it. My pleasure, there is nothing like a mothers love. Thanks for the review,this is my kind of movie i cant wait to see it !! This does like my kind of movie! I would love to see it with my family! It is such a great story. Im a real cry baby for movies like this,i bet get a box of tissues to watch this one !! I needed it. It was a beautiful film though. I love Jennifer Garner movies!! I’ve been hearing a lot about this movie so I’ll definitely have to check it out! I love her movies too! If it has Queen Latifa in it, it’s good. Lol I love her movies. Looks good, gunna have to show the hubby. Hehe, I love her movies too! This was an amazing movie. I am excited to get a copy so I can watch it at home. It really is a great movie! This was such an amazing movie! I laughed, I cried and the miracle behind this little girl was so amazing. i have watched this a few times and loved it each time. such a great cast and they did such a good job of telling the story. I loved it too, it is such a great movie! I loved this movie! It had such a good lesson behind it. Love. My wife wanted to watch this and she loved it! It is a great one, did you you enjoy it too? I had no idea this was a TRUE story! I have to watch it now! I know, it is an incredible one too! This sounds like a really inspiring movie. I’d like to see it.